Q1: Can you tell us how the Gresham House Strategic portfolio has performed over the last quarter? A1: We’ve had a good performance actually, both absolute and relative in the quarter. The net asset value is up 6.4% and that compares to the All-Share which fell 7.8% and the SmallCap Index which fell 6.9% in the period so pretty good relative performance. It brings our NAV for this financial year to the end of March up to an appreciation of 10.6% in the year compared to the SmallCap which was just about flat, marginally down to the year to March down 0.7% and the All-Share which was down 2.4% during that period. So, again a pleasing end to the year. Q2: Last week, together with co-investors, you made a significant further investment in Northbridge through a convertible loan note, can you explain to us more about the deal? A2: It was a very interesting deal, one which we were quite pleased to have been able to support. The deal itself, the company issued £4 million of loan notes, the vast majority of which was subscribed for by funds managed by Gresham House (LON:GHE) and Gresham House Strategic took approximately 2 million of that so a substantial and reasonable investment for us to go into that. The loan notes themselves are convertible at £1.25 per share at anytime during the term which is just over 3 years, so 3 years 3 months and in addition, we get an 8% annual interest rate which is cash paid. The loan notes are subordinated to the bank debt but carry a second charge over the UK asset so from an investor perspective, a nice place to be. The background here is we’ve been in dialogue with the company for a long time and certainly earlier on, back end of 2017, we’ve been talking to them about their balance sheet and the funding. We’re looking to help them consolidate their banking facilities with a single bank and hopefully to secure some more attractive terms on those facilities as we can see the outlook for the oil and gas sector picking up. So, we put a proposal to them in late December which was considered by the Board in early January and that’s really where we set the terms of this convertible and we were then involved with the company and their bankers to look at the comprehensive refinancing package. So quite an interesting engaged deal, I think the benefits to Northbridge Industrial Services Plc (LON:NBI) are fairly clear, this secures some long-term finance which ultimately is expected to convert to equity so really becomes permanent capital for the company. By using a convertible, they’ve reduced the expected dilution that would have taken place had they done an equity issue, so they found that very attractive. It also provides flexibility, there’s no debt repayments during the initial term so that gives the company greater ability to use its cash both to service the bank debt but also to invest for growth as we hopefully see a continued uptick in the oil and gas sector. I think just by diversifying the source of funding, that’s enabled them to reduce the total bank facilities and get much more attractive terms with their existing bankers on new terms and new long-term facilities which also extend out another 3 years. So, it really has consolidated and given them a sound footing from that. From our point of view, Gresham House Strategic’s point of view, I think this is an excellent demonstration of our strategic equity approach, it certainly demonstrates how we’ve been able to support a smaller UK company by engaging with the management team and providing flexible funding structures and collaborating with them etc. It certainly also a demonstration of our ability to work with multiple stakeholders so in this particular instance, working with RBS, the bankers, to create the right outcome for the company. It’s a nice demonstration of our approach and our focus on value. I think this investment has good value characteristics, it has strong asset backing in the company, if you look at the recovery, EBITDA multiple that it’s trading on, if you imagine what sort of EBITDA the company can get to, it looks very attractively priced. So, I think certainly from that perspective, we can see a clear value creation opportunity as the company’s earnings recover and they generate cash. So, I think it’s a nice demonstration of what we do, and I think the investment attractions are pretty clear so hopefully that all makes sense. Q3: Now, IMImobile is going from strength to strength, this must be having a positive impact on the portfolio? A3: It has, yes. Very pleasing see IMImobile PLC (LON:IMO) performing strongly, in the quarter to the end of March the share price was up 10% and actually, since the end of March it’s gone on to perform stronger again so it’s up a further 14% or so since then. So that has been a big contributor to performance. Certainly, in the quarter to the end of March, given the weighting in the portfolio, the positive performance of IMI was a major contributor, contributing a little more than half of the total 6.4% that we saw the NAV rise by came from IMI. So, certainly, not solely responsible for the positive performance but a significant contributor. IMI still remains very good, it’s got market leading positions in a number of industries in the UK and that includes healthcare, banking, mobile phone industry and we’re seeing new opportunities and growth coming from the international businesses as well. So, I think it’s very well positioned, I think it’s in an industry that’s got structural growth behind it and we’re starting to see some proper support coming in from the market, so it’s certainly got momentum. Q4: What have been the lags on Gresham House Strategic’s portfolio and how do you see these playing out? A4: I suppose the major one in the quarter was Be Heard which was a negative contributor. The share price was down 25% which was very disappointing and that followed a profits downgrade in early January. We spent a lot of time with the company to understand more about it and certainly we’ve come to the conclusion that this is a hiccup rather than more fundamental. The underlying business still exhibited around 23% organic growth in the year to December, the EBITDA was more than doubled from the year before, but this is the market forecast and the share price has been punished as a result of that. The company has taken quite a lot of action and we’ve been involved in some of those changes since then so the first thing to happen was role of Chief Executive and Chairman was split with David Morrison, who we introduced to the company, taking on the role as Chairman and Peter Scott becoming Chief Executive. More recently, they’ve gone through a process to find their Finance Director and appointed Simon Pyper who I think is a great catch for the company, he’s come to the Group with a great reputation and is well liked by the city, so I think he will be a very positive addition to the company. With his appointment, we see Robin Price actually standing down and he’ll be leaving the company. So, some changes have taken place there, we’ve also seen significant focus on the costs and forecasting and changed processes in the business so I’m confident that this was a growing pain and a hiccup, and we will see the business do well from here. Having said that, the sector they’re in, I think they’re very well positioned in that. There’s quite a lot of change going on so over the long term we see substantial upside, in the short term I think the market view on that sector is probably a little clouded, the activities what’s happening at WPP today, for example, is an example of that. The other one which was a modest negative contributor was Escape Hunt, again there was a bit of share price weakness during the quarter. This followed a slower roll out for the new sites that they’ve been planning and really that was driven by the fact that they’ve been quite cautious about securing the best sites. First of all, attempting to not overpay for those sites means that he negotiations have taken a bit longer but also some of the better sites that they’ve been looking at have required change of use planning consent where they’ve been retail and changing into these escape rooms. So, that’s slowed down some of the roll out and I think people viewed that slightly negatively. Certainly, the UK consumer and the pressure probably provides a bit more of a mix view on the overall sector, but the underlying business is going very well. They have now launched in a couple of sites, the franchise operation has grown, and we see the opportunity set for what they’re targeting to do is pretty much the same as what it was, if not better. They’ve made good progress on branding and talking to some of the international media brands which I think will open some opportunities for them. So, those are the two that I suppose had a negative impact on performance. Q5: What’s your view on the outlook as we move into Q2? A5: I think the markets are in quite an interesting place, significant volatility has returned, if you look at how the markets have moved since the beginning of the year, we’ve seen that presumption of volatility. I think having said that, valuations overall still look quite high compared to history and rising interest rates, or certainly an expectation of rising interest rates, I think still poses a risk to some of the highly-valued bond properties and some of those sorts of shares which have driven the major indices. However, we’ve got a much stronger international economy albeit that that’s clouded by prospect of trade wars and so on, that puts a bit more uncertainty into it. It helps by a bit more stability in the oil price, some more discipline around oil stocks and things I think should bode well for a return to capital investment in the international arena. I think the UK is a bit of a mixed picture, you’ve got some pressure on UK consumer and that was evident from some of the retail data that’s just come out, so it is a mixed bag. So, what does that really mean? I do think that focus on individual company performances and where improvements can be made from self-help and companies which have the ability to take advantage of the stronger global economy should do well. I think focussing on cash generation and return of capital employed is again something which we ill be paying close attention to, if you’re looking at areas where the structural growth can support the longer-term growth of the industry that should be fine. 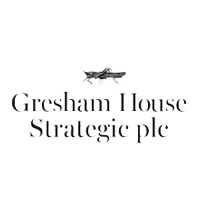 Overall, I think we are in for a slightly more mixed stock market performance but it’s an environment which favours value investing and I think it favours engaged stock picking, so I remain fairly confident in terms of what we can do within Gresham House Strategic. Click GHS IMO NBI for the full archive.